Social online worlds a preview of our physical worlds? Automakers build fully-working computer models of the cars they’re about to build, and the same applies for thousands of the products we buy. The social networking phenomenon is growing like crazy, with MySpace alone at 68 million members. At the same time, we’re delving deeply into a customer-driven economy. It’s only a matter of time before the three intersect, and we’re already seeing a preview among the 10-20 million people actively participating in creating their own online worlds. The result? 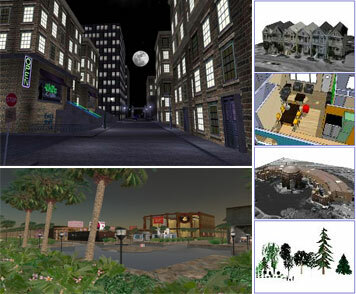 Rather than try to understand two-dimensionally and in words just what kind of communities the emerging generation of home buyers, workers and shoppers prefer, take a trip into the online world of Second Life and see for yourself. In an alternate virtual world to our physical one, people buy virtual land and develop buildings, host events and form social groups, even selling virtual items and charging admission. In fact, practically speaking, here’s what the progressive developers and cities should do to attract the creative class: Build several virtual versions of their projects, even neighborhoods, and present them in any one of these online worlds (read up on Trendwatching.com’s Youniversal Branding), and allow people to not only comment or create their own versions, but to buy units in the virtual buildings that serve as reservations in the real buildings should they be built. It’ll happen. Creating totally immersive 3-D models of new development projects is a great idea — where people can “walk” around in them and experience the project virtually. Great idea! But I think taking it as far as Second Life is a bit much. Virtual social networking lacks a degree of authenticity — this becomes apparent to any semi-enlightened individual after a only short time participating in such things. I would even argue that it is more anti-social than social. There is something dysfunctional about it. But… I think the idea of creative interactive virtual models of new developments is great! It’s important to note that these virtual world should be looked upon as tools. Tools can’t be compared to buildings and communities, but they can sure help make them better. Or, for SAT vets, tools:community as hammer:home as social networks:cool towns. It’s just one tool among many, and it’s more effective than static demographic reports, which is the primary tool used to build communities today.